It’s officially Christmas vacation for Cam as of noon today, and he celebrated with his friends at Payton’s birthday party at King Pinz in Leesburg, Virginia. I have to say that watching eight sixth-graders bowling and goofing off was much more entertaining than I’d first imagined. 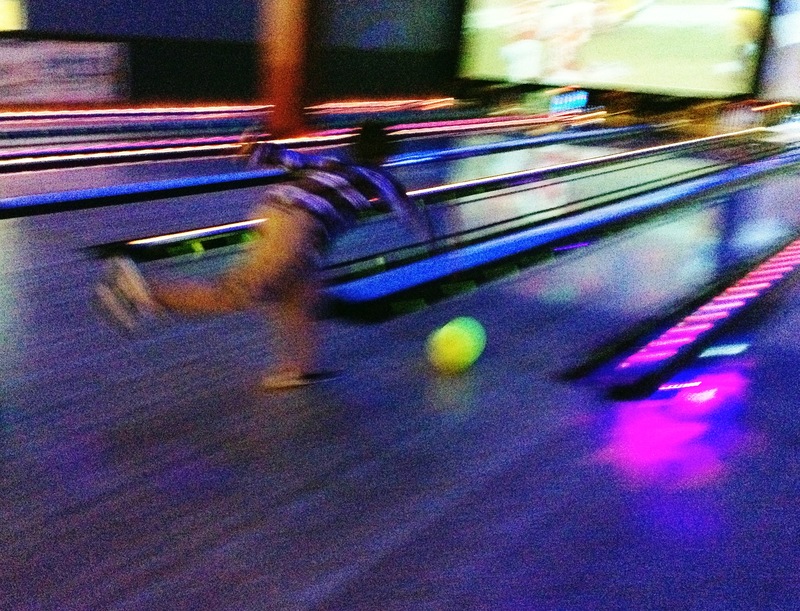 Thankfully, there weren’t many other bowlers on hand, so the boys had a lot of space to try different techniques, from two-handed rolls, to relays to bouncing the balls off the bumpers. The vibrant colors and lighting created some cool photo experiments, and with a little editing in the App Snapseed, I found some fun images—although it certainly wasn’t as entertaining as spending two hours in the bowling alley with a bunch of rowdy boys. That is a fun picture, with a lot of energy and dynamics. Sure shows the joy of a rowdy boy. Merry Christmas to you!